West Point, NY facility for the US Government Mint was originally established back in 1937 as a mere silver bullion depository for storing bullion products minted at US Mint’s other locations. However, starting from 1973 the US Mint facility in West Point, NY started minting cent coins and later gold memorable medallions. Today, almost a century later West Point, New York mint gold coins and other bullion products make up a considerable ratio among overall gold and silver bullion products minted at all of the US Mint facilities. The year of 1988 became a turning point in the history of the US Mint at West Point when the facility was officially given a status of “US Mint”. While West Point facility is still partially used for storage of silver and gold bullion coins, it is also a manufacturer of a number of popular gold bullion products like American Eagle in silver, gold and platinum and Gold/ Platinum bi-metallic coins. If you are interested to visit US Mint in New Point and learn how American gold bullion products are minted, you are out of luck – the security is rather tight there and no public tours are offered. However, many reputable gold coin dealers sell coins minted at the West Point, NY facility such as Gold Line, Gold Price, APMEX Gold and many others. 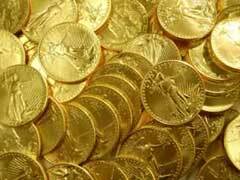 Shopping only with reputable gold dealers with ensure impeccable quality of purchased New York mint gold coins. If you are searching for gold coins minted at the US Mint facility in the State of NY in West Point, your keyword search for New York Mint gold coins might unexpectedly return a highly controversial gold retailer with a very similar name “New York Mint”. “New York Mint” gold retailer should not be confused with the official US Government Mint facility located in West Point, NY. According to multiple customer reviews “New York Mint” gold retailer with physical location in MN has plenty of unsatisfied customers who claim that the company uses unethical business practices and simply overcharges for a lot of bullion and numismatic gold coins due to various “specialty” claims. New York Mint gold coins recent scams that are being widely advertized through a number of radio channel commercials stating that they are selling Silver Eagle coins that were supposedly recovered from the Twin Tower vaults. A lot of gold investors and numismatists alike view this as absolutely unacceptable to create gold coins NYC hype based on grief and sufferings of thousands of families whose relatives were killed during America’s worst terrorist attack on Sept 11th, 2001.